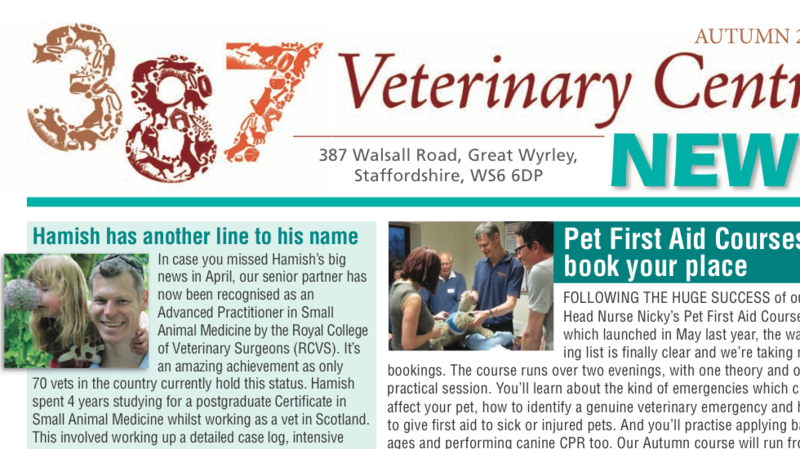 387 Vets’ Autumn 2015 newsletter – read it here! Our Autumn newsletter is now available to read online! To find out about new additions to our vet and nursing team, this year’s Vet Charity Challenge hopes, pet first aid course availability, better ways to manage your pet’s calorie intake and top tips for fireworks’ night fixes, click here.